During Parent Night this was displayed on my board. I thought I would post it just in case anyone missed it. This entry was posted in Uncategorized on April 29, 2013 by jimtiffinjr. 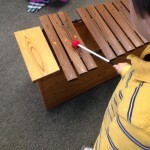 The children used the bass xylophone to play “just like that” from our beloved song, “Pumpkin, Pumpkin.” This can be a difficult task at times. 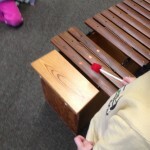 In order to play this pattern the children must move the mallet from right to left, but teachers, including myself, consistently encourage children to look at patterns and such from left to right. 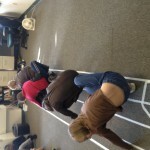 We encourage the left to right directional tracking, because in our society, this is the way we read and write. But when it comes to the xylophone (or the piano or any other keyed instrument) it is important to grasp the understanding that left to right movement means the pitches are getting higher and right to left movement brings lower pitches. 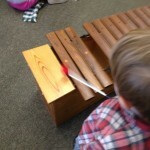 To make a long story short, playing “Mi-Re-Do” on the xylophone isn’t as easy as it looks! Just ask your nursery student! 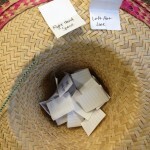 This entry was posted in Creative Arts at Harley on November 6, 2012 by jimtiffinjr. 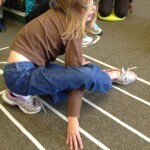 Treble Clef Twister in Action!! This entry was posted in 4th Grade Music Plus on November 6, 2012 by jimtiffinjr. 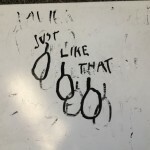 First the children drew their own pictures of pumpkins and we sang “just like that” while pointing to the pumpkins. 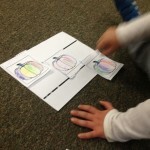 Then the children colored their own pumpkins and cut them out. 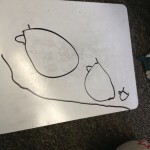 Using the pumpkins they created, they placed them on a two line staff and were able to represent the descending melodic pattern Mi-Re-Do (which are the corresponding solfege syllables for “just like that.”). This entry was posted in Creative Arts at Harley on October 29, 2012 by jimtiffinjr. This is a favorite of all the Nursery classes. 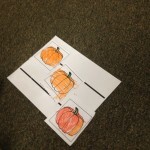 Nursery Red has used this song to do a magic trick with pumpkins, Nursery Yellow and Blue have used this song to learn about the solfege syllables Mi-Re-Do and their functions. There are 3 children on the staff. The other children all hold cards that say one of eight things: right hand line, right hand space, left hand line, left hand space, right foot line, right foot space, left foot line, left foot space. The children with the card calls out what is written on their card, for example “Right hand line,” they then choose a line from the staff and call out that letter. 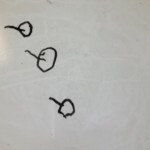 This children on the staff must then move their right hand to the correct line. This means that the caller is reading and learning the names of the lines and spaces as well as the children who are on the staff. 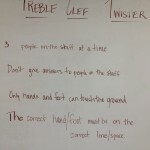 This entry was posted in 4th Grade Music Plus on October 18, 2012 by jimtiffinjr. This is a fun piece that we used earlier in the year. 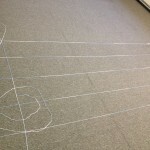 While it offered the children an opportunity to improvise, my main goal in using this piece, was to provide a safe and fun way for the children to play their instruments in a group setting with a limited amount of structure. We used different instruments (tone blocks, hand drums and sticks) and even the doors in the room when making our knocking sounds. This entry was posted in Creative Arts at Harley on October 17, 2012 by jimtiffinjr. 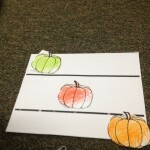 This entry was posted in 4th Grade Music Plus on October 16, 2012 by jimtiffinjr. The children take turns holding a cat mask while we sing this song. If you are holding a mask you get to say the “meow” part of the song. 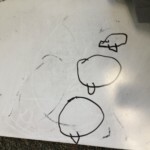 We have used this piece to explore different animal sounds that our voices can make as well as different types of cat noises. 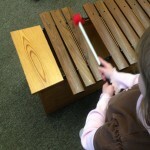 This provides an opportunity for the children to perform alone in front of the group. Click on the green “Vocaroo” button to hear Miss Beth sing this tune. This entry was posted in Creative Arts at Harley on October 3, 2012 by jimtiffinjr. 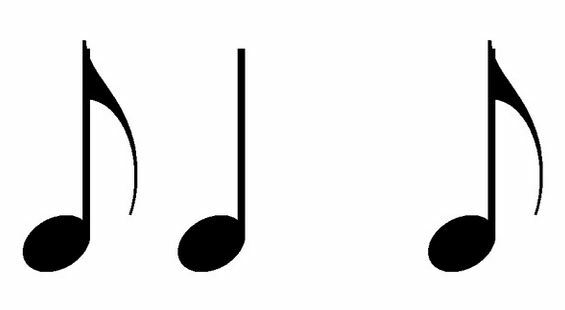 Click the green “Vocaroo” button to hear the solfege version. 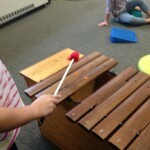 This entry was posted in 3rd Grade Music Plus on October 3, 2012 by jimtiffinjr.